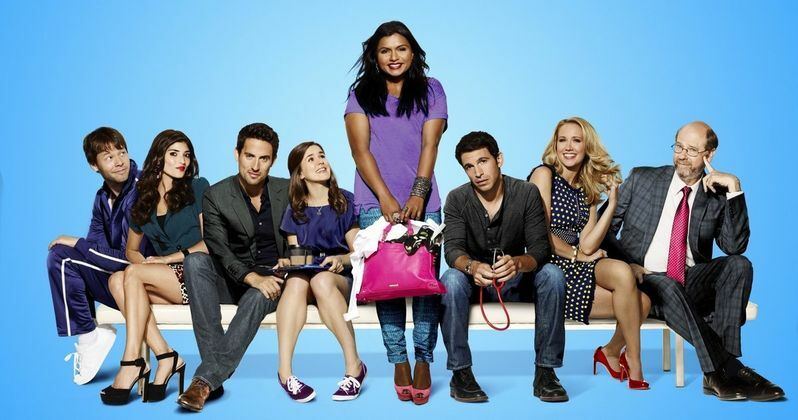 Fox has cancelled their sitcom The Mindy Project after three seasons, but the show may find new life elsewhere. The show's producers are reportedly in talks with Hulu for a two-season deal, allowing the show to continue on the streaming service. Fox, Hulu, and the show's producers at Universal Television would not officially comment on the move to this streaming service. This news comes just a few days after Myst landed at Hulu. There had been talk of The Mindy Project moving to digital since January, which is around the same time when Netflix picked up the NBC comedy series Unbreakable Kimmy Schmidt, which debuted on the streaming service this March. Hulu already carries previous seasons of The Mindy Project through its Hulu Plus paid service, so a move here would certainly make sense. While the show's ratings were always rather low by broadcast standards, it has done well on DVR and online viewing. Mindy Kaling created and stars in The Mindy Project, with a supporting cast that includes Chris Messina, Ed Weeks, Ike Barinholtz, Zoe Jarman, Beth Grant, Adam Pally, Xosha Roquemore, Anna Camp and Amanda Setton. Hulu is increasing its original series slate recently, with new shows such as J.J. Abrams' 11/22/63, Amy Poehler's Difficult People and Jason Bateman's Casual. Mindy Kaling responded to the news of her show's cancellation by posting an Instagram video of the scenery in Montana, where she is vacationing with friends, which you can check out below. Wait for it, as she gives a knowing wink right at the end. Does she know something we don't?